Anyone who knew me in high school or earlier, would definitely conclude that I am a pessimist. Those who know me now would probably not have a strong opinion, as I am not as vocal about my negative views these days as a used to be. I always jump to the worst conclusions. Always. My attitude is that if I expect the worst, I won’t be disappointed. It’s easier to be a pessimist, and to have low expectations. I’m not disappointed this way. But just because something is easier and more comfortable does that make it what is best overall? This attitude is comparable to never falling in love so that you don’t get hurt. Or never driving anywhere in fear of getting in a car accident. Or never having children so you won’t see them in pain. You won’t get hurt, but life is going to be incredibly boring and lonely. It is part of life to take risks, and part of life to get hurt sometimes. Vulnerability is an uncomfortable subject. It’s what opens us up to hurt, to pain, and maybe even to ridicule. But it is also what provides us with the most amazing things that life has to offer. The most incredible experiences ever that are more than worth the risk. When it comes down to it, pessimism (for me at least) is a way of protecting my vulnerability. No one, (including myself), can tell me that I failed if my expectations were low. While expecting the worst might stop me from being disappointed when things don’t turn out right, it causes me to live my life in a gloom and doom manner. Which isn’t great. 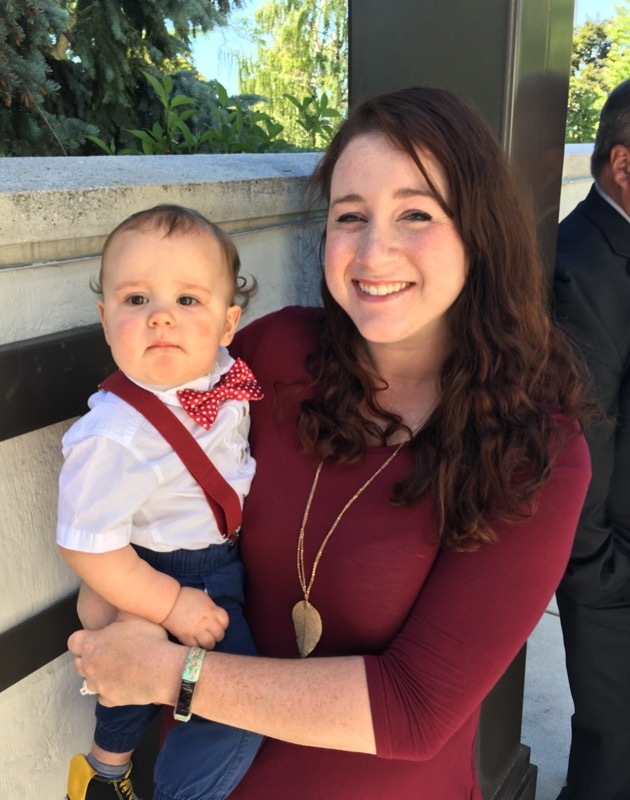 When I look at my son, there are just a few things that make him unhappy. He doesn’t like his choices to be limited. I won’t let him chew on my phone, or fall face first into an empty bathtub, or any number of things that are dangerous or destructive. This makes him mad because he doesn’t get to do what he wants. If he gets hungry, needs to be changed, or if he is bored he also gets upset. But that is seriously it. He doesn’t think about how he could possibly be hungry in the future, or that mom might thwart his future attempts to explore. He lives in the moment, and doesn’t worry about unnecessary things in the future. Worrying about the future is one of my most frequent pastimes. It is obviously not possible for me to be as in the moment and carefree as my son is. I have bills to pay, a job, and a family to care for. But I can learn many valuable lesson from him, one of which is to not worry so much about the future. 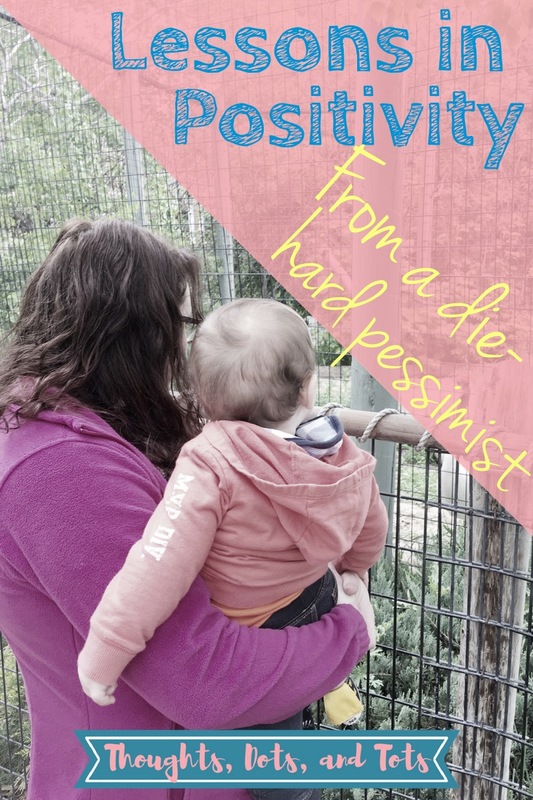 That bright ray of sunshine deserves a mom who sees the world through optimistic eyes. I need to strive to not always assume the worst. This way I can allow him to live his life a little more independently in the future (When the adventures he wants to take are a little more well thought out than trying to fall face first into a bathtub of course). Have you caught yourself being a pessimist and found the motivation or technique to change? Let me know in the comments below! Hailey, love this weeks post!!!! You probably inherited it from me! thought of mine, that has actually worked for the better. but not so well for other outcomes. Thanks Grandpa! And I absolutely agree, it is good to prepare for the worst financially, but not in other areas. Balance is key for sure!